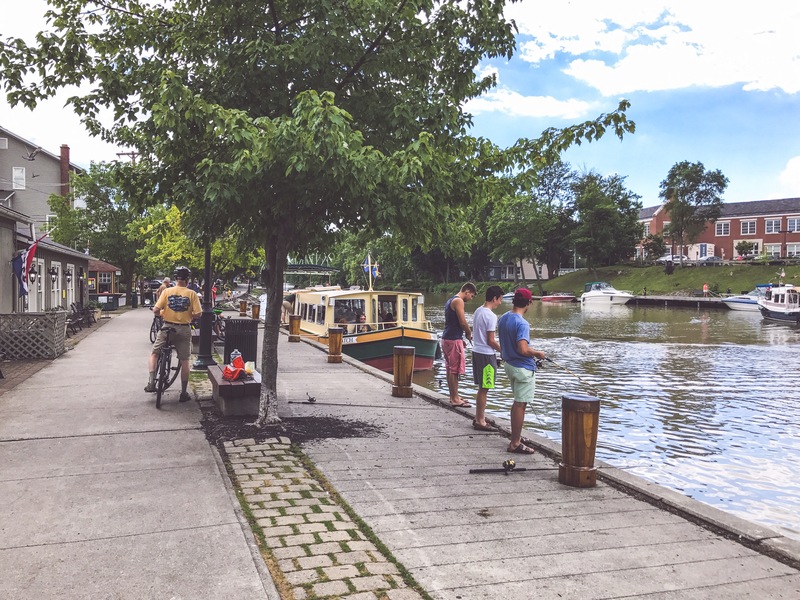 Not far outside of Rochester is the beautiful little village of Pittsford, New York. 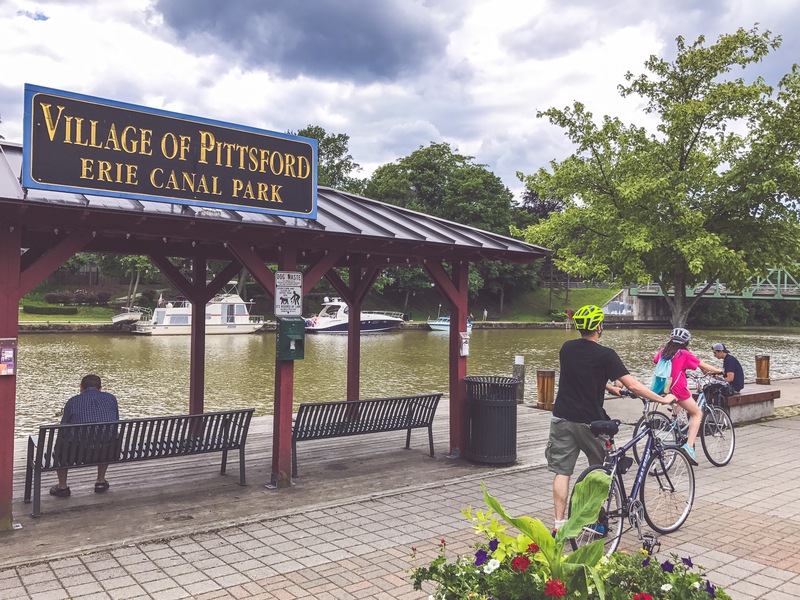 Known for its predominantly upper-middle class/wealthy population as it is for its gorgeous and historic downtown, Pittsford occasionally gets an unfair reputation as a suburb only for the super-rich. 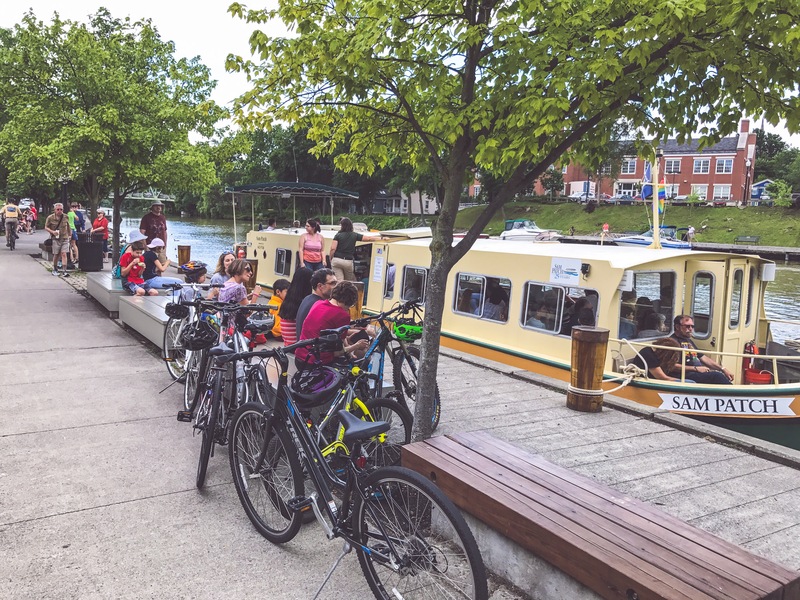 But there’s a place along the Erie Canal that invites residents and visitors to shop and dine in a quaint setting where pedestrians and cyclists are king, the streets are narrow, and those on foot outnumber the vehicles that pass. People fishing, scores of people riding bikes, and of course there’s the Sam Patch tour boat. Shops and eateries separate the canal from most of the narrow street, featuring anything from a bike shop to a gift store, a local brewery, a Mediterranean restaurant and a store that sells beads for jewelry. 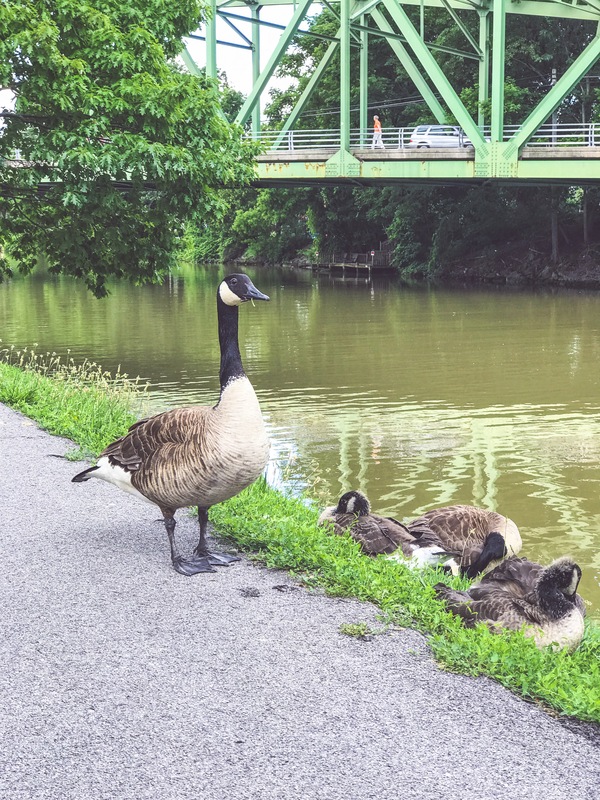 It is a place for a family to get ice cream and feed the waterfowl, or for an outing with friends over some craft beers… it’s a place to find that unique gift for a special someone or simply to walk, bike or sit and enjoy the canalside scenery as the boats float by. Schoen Place is beautiful, but the true beauty lies in the New Urbanistic elements that make it such an inviting destination for people of all walks of life. This beauty is likely overlooked by the average visitor, but the effects are what makes this such a popular spot. 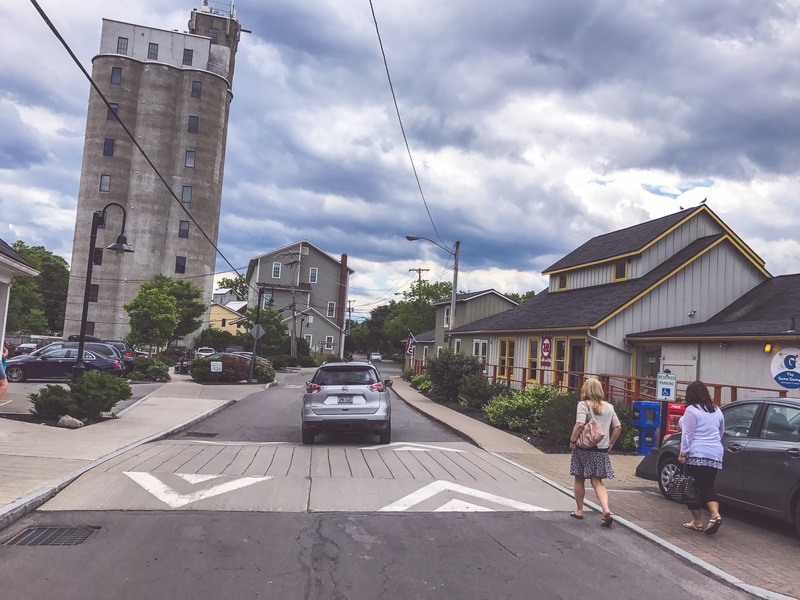 A very narrow street dotted with raised crosswalks sends a clear message to the driver that speed is not welcome here. Slower speeds for cars mean a more inviting environment for individuals, couples and families to walk comfortably without the often unconscious fear of speeding traffic. 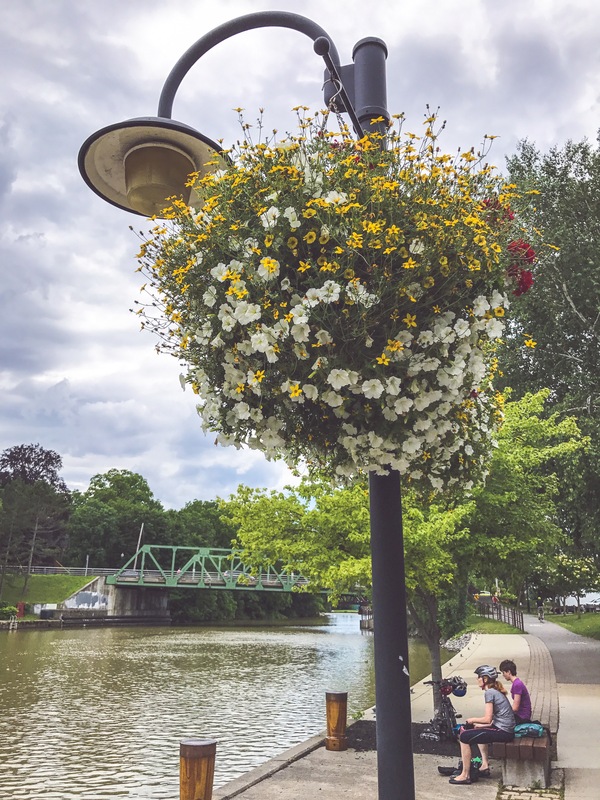 The fact that Schoen Place features a beautiful walkway along the Erie Canal makes it an inviting public spot where a simple cup of coffee or an ice cream, a good book or a good friend and the outstanding view can feel like a mini vacation. Oh, and that walkway along the Canal? 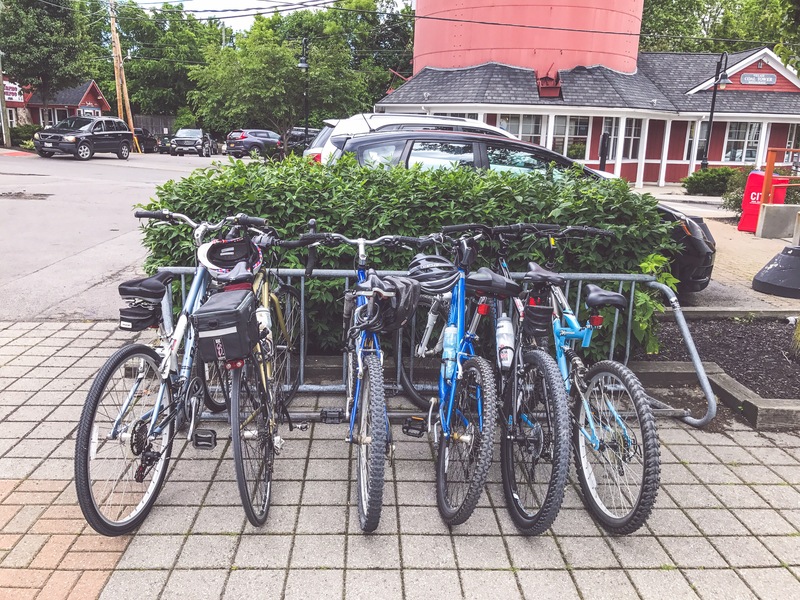 It connects to the Erie Canalway Trail, making Schoen Place a sort of “station” for cyclists near and far. And finally, it’s the local shopping and dining experience that attracts people from so many different walks of life. You can feel good about parking your car and walking to a restaurant, then shopping, followed by a stroll along the water. Suddenly your afternoon has turned from an isolated event to a walkable adventure. Want to visit a place where families, friends, couples and individuals can all enjoy an afternoon? 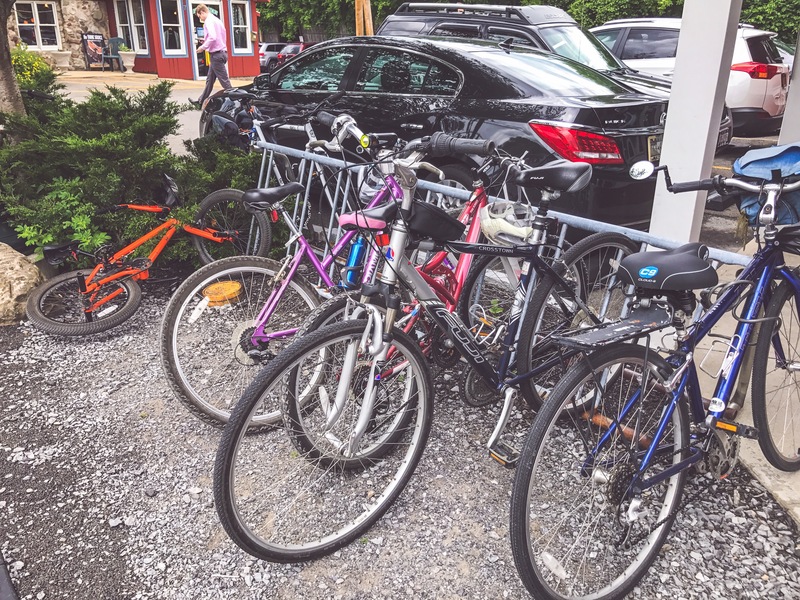 Want to experience a local retail and dining destination where you can leave your car and enjoy a unique and walkable adventure? Do you want a taste of what slower traffic, pedestrian infrastructure, public space and an emphasis on aesthetics can do for a local economy? 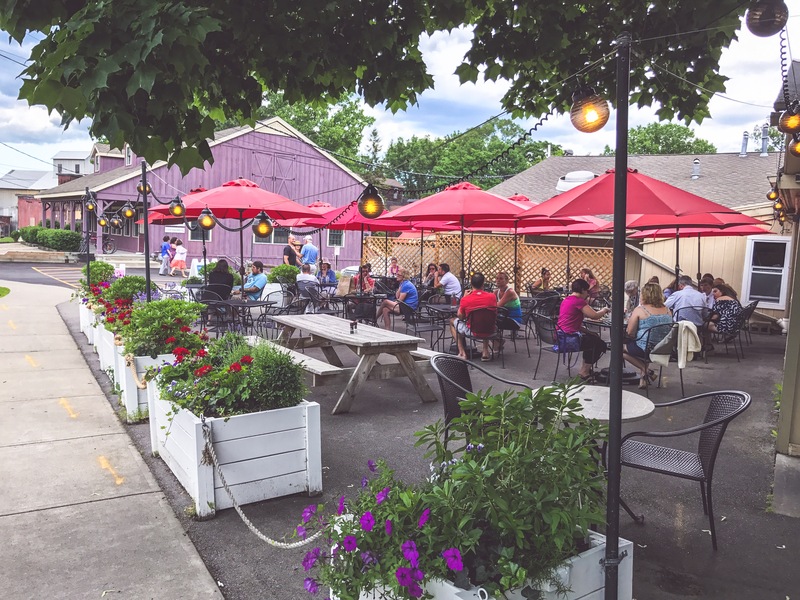 Check out Schoen Place in Pittsford, New York. ← What Have We Sacrificed For Transit Independence?